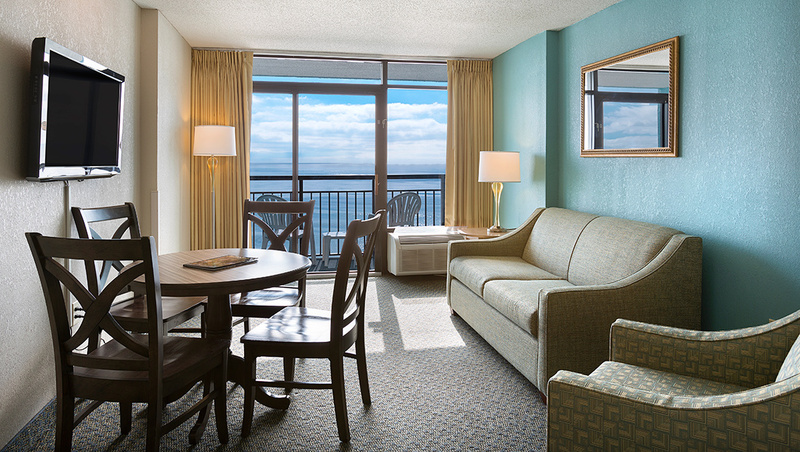 If a hotel suite that is spacious, equipped with full kitchen amenities and a gorgeous view is what you want, then the Oceanfront Executive Suite is perfect for you. Each suite’s bedroom has two double beds as well as a TV. 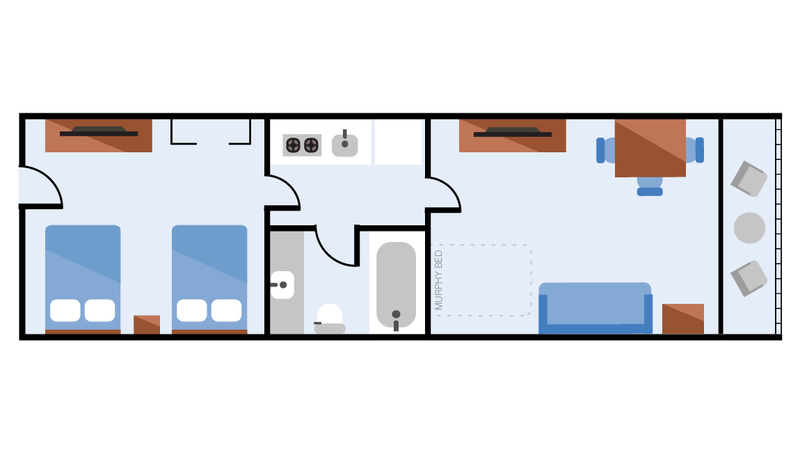 In the living room, there is a double pull down wall bed for extra sleeping space, a sofa and a TV. 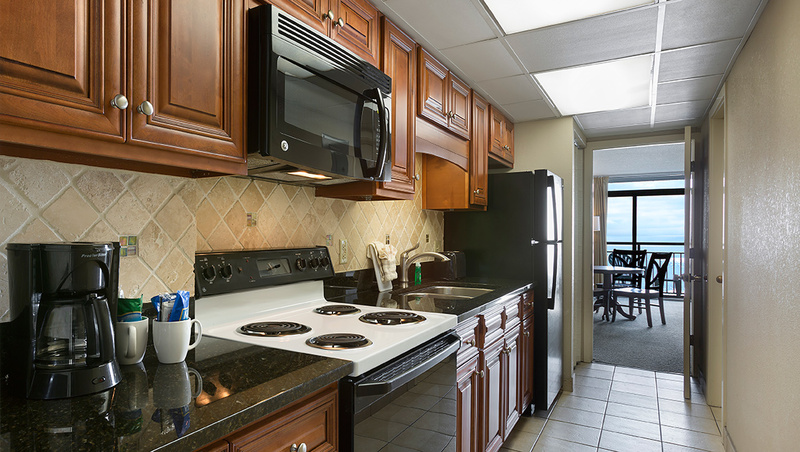 The full kitchen comes with a full sized refrigerator, a stove, microwave, coffee maker as well as basic dinnerware and cookware. 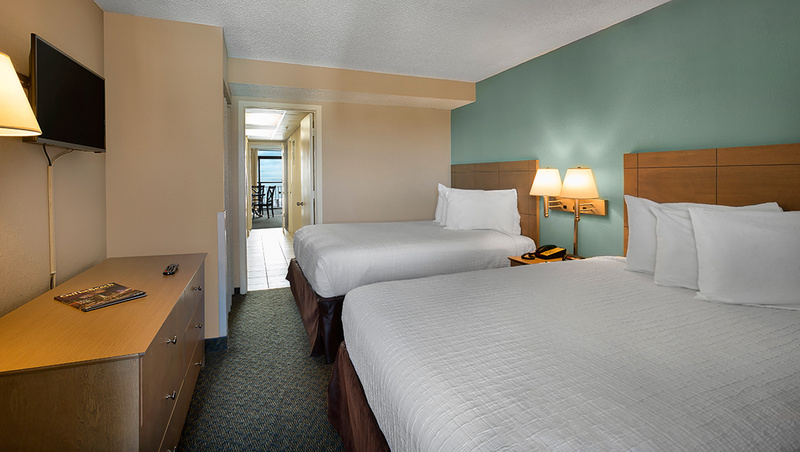 The suites also have hairdryers, an in-room safe and free Wi-Fi. All Oceanfront Executive Suites come equipped with a private oceanfront balcony off of the living room, offering the luxury of peeling back the curtains to show a picture perfect panorama. Enjoy your balcony as you smell the sweet ocean breeze and listen to the tantalizing ocean sounds as they whisk you away. These suites provide ample room for a comfortable vacation and can sleep up to six.